Updates to Mr. R's profile since your last visit are highlighted in yellow. Best wishes for a great reunion! Sorry I won't be able to attend due to medical problems. If anyone's on Facebook, look me up and "add" me. Here's my page URL, but you have to be signed in to FB to see anything. And finally . . . many, many thanks to all the students and staff at Scott Park who taught me how to use the computer! Came to Scott Park in 1990 and taught General Science, Physics, and Chemistry until my retirement in 1998. Met a lot of great people, both students and staff. Thanks to everyone who helped me learn about computers. Mr. R Sewell updated his profile. View. Mr. R Sewell added a video to his gallery. 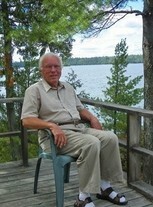 Mr. R Sewell added a photo to his profile gallery. Mr. R Sewell changed his profile picture.